The San Francisco Giants beat the Los Angeles Dodgers three times last weekend. Swept the floor with them, you might say. I caught Sunday afternoon’s game — the last of the series and a 4-3 victory for my guys. My seat was near third base — a more favorable location this season, since the team has found its offense. In years past, when only one or two Giants players even made it to third base, let alone scored, it could feel like the loneliest, saddest place on earth. 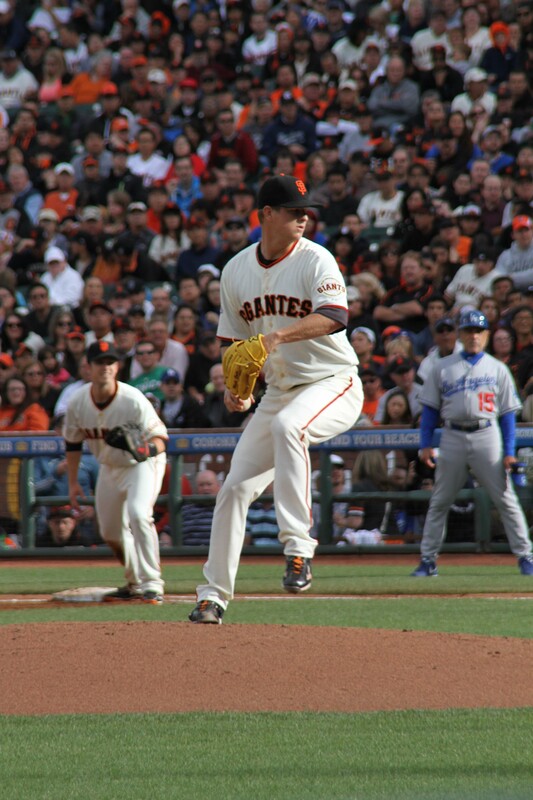 Matt Cain — who was winless in April — looked strong. Hunter Pence was en fuego. (Sunday was Cinco de Mayo, after all.) Andres Torres ran very fast. And Pablo looked… like a fat panda. His online bio puts his weight at 240 pounds, but these photos don’t lie. The guy is a house. Right now Sandoval is batting .323, but you have to wonder how long he can maintain that when he huffs and puffs around the bases… and can no longer see his toes while doing it. On a lighter note, being back at the ballpark on a warm day — camera in hand — brought me all the usual joy. And as my tagline says… I have the pictures to prove it.